Took time out yesterday to buy a new air pressure gauge for my air brush setup and spent the time yesterday putting it together. 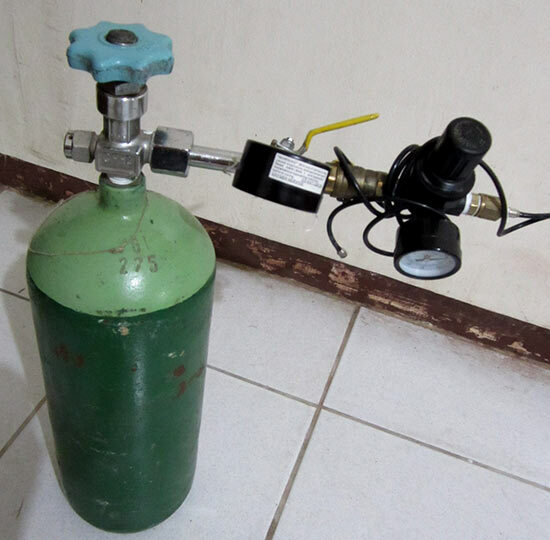 I don't have my own air compressor, so what I did was I got my Dad's old oxygen tank and been using that to power my trusty Badger 250-2 airbrush. I initially thought that a pressure gauge would be expensive but was surprised to find out that it just cost me $4.00 and change. Been meaning to simplify my setup for the longest time already, to get rid of the stuff that my old setup had but I didn't really need. The new pressure gauge is on the top part of the cross joint. The bottom part of the cross joint is connected to a ball joint valve and is where the hose for refilling will be connected. 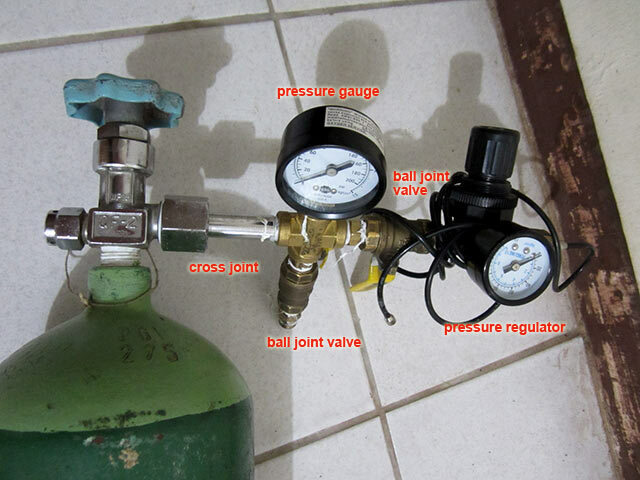 The right side is also connected to a ball joint valve which is connected to a pressure regulator. The pressure regulator is what ensures that I can get a constant stream of 20~30 psi air for my air brush. By using a stand alone tank without a compressor, it is very imperative that I take extreme measures to ensure that there are no air leakages. If you notice the gauges and fittings are not aligned correctly, that's because I made sure that they are overly tightened (not too tight though as I might strip off the screw threads). I don't mind that they look ugly, the main thing is that it has to be functional. All I have to do now is refill the tank with air. A couple of weeks back I went to 2 gasoline stations in hopes of refilling my air, but both their air compressors were on the fritz. Hopefully I can get this tank refilled in time to start building again. I feel at ease (and not imposing) whenever I fill my tank at the gasoline station because I know the people there as that is where I buy my gas and fluids for my car as well as where I have my car serviced.